Hail Mary, who filled with anxiety desperately searched for your Son. 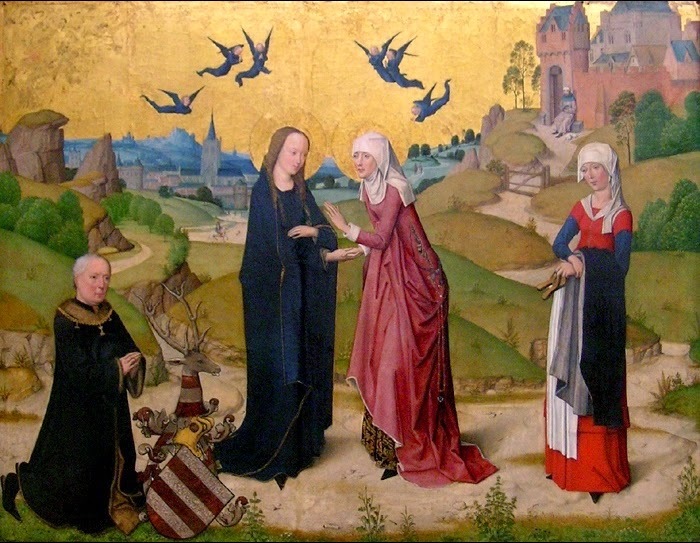 After the shadow cast by Simeon's prophecy and the shock of the sudden flight into Egypt the Holy Family were able to spend some years enjoying the tranquillity of order. This enabled them to do the thousand-and-one tiny things that make up the quiltwork of quiet happiness. Following the great and joyful celebration of Passover Mary and Joseph could set off on the journey back to their Nazareth home in high good humour and deep contentment. "His mother said to him: Son, why hast thou done so to us? behold thy father and I have sought thee sorrowing." She does not reproach or berate Him, though a good many mothers might feel she would be justified in doing so, instead she simply asks Him for His reasons and lays bare her emotional condition before Him. She had been sorrowing with all the sorrow that her perfect love for her perfect Son could experience. A sorrow beyond the power of mere words to describe or for the imagination of the imperfect to fully comprehend. "They understood not the word that he spoke unto them" and "His mother kept all these words in her heart." Sorrow does not always give birth to wisdom but it can do. With Mary no doubt it did. As she reflected on her experience and the 'hard saying' of our Saviour she would, enlightened by Grace, more and more fully come to understand it. And when the time came for her Son to leave home and begin the journey that would end in the shame and death of Calvary that hard-earned wisdom would have given her strength and purpose to aid Him in His salvific mission. 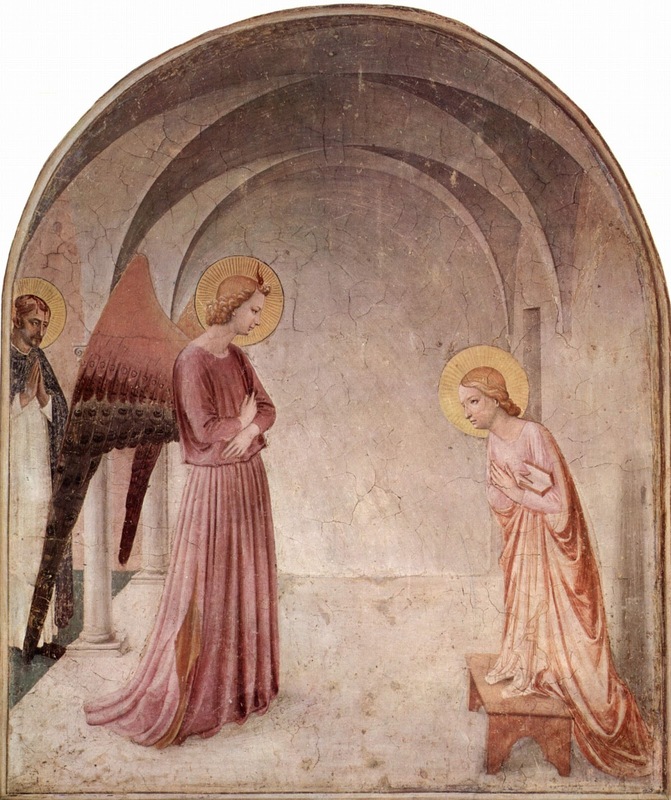 For centuries artists have loved to depict our Lady at prayer when Gabriel appears to her. Although there is nothing in the text to justify this choice it is an artistic intuition which reveals a profound truth. From girlhood to dormition Mary was a person of deep, reflective prayer. This was central to her becoming and being the Mother of God. It is not that she was drawn close to the Father at the time of the Annunciation in order that she might be made the Mother, rather she became the Mother because she was already so close to the Father. It was (and is) an intimacy of pure and perfect love. The twofold vehicle through which Mary expressed and lived out this love was charitable action and rapt contemplation. The psalmist, I think, gives us a clue to how this prayer life of the Blessed Virgin worked out in her daily practice. 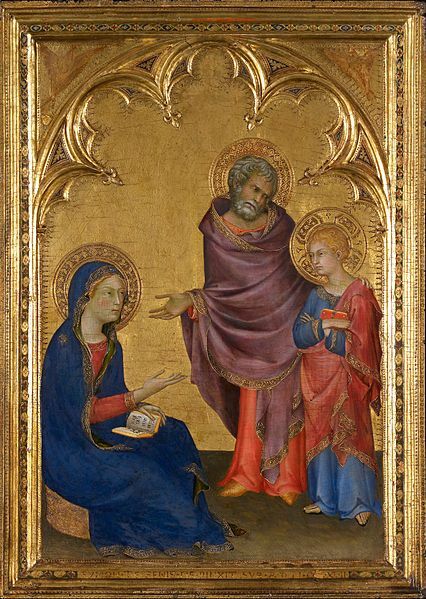 St Luke tells us 'Mary kept all these words, pondering them in her heart' (Luke 2:19) She would have held in her heart the gifts of God and offered them silently to the Divine Giver. It is not by busy thought or by many words that we can understand His purposes towards us but by the gentle infusion of His Grace. In silence Mary simply held out what was dark to her until such times as the Father through the action of the Spirit illumined them. In His light only did she wish to see. And so it was that she merited to become the mother of the Light of the World. In this, as in so many other things, our Lady is a model for us to follow. Reason is an excellent tool and we have been given our intelligence in order to use it. One of its uses is the realisation of its limitations. When it reaches the point beyond which it cannot go it must resist the temptation to speculate, to theorise, to make up self-serving stories. We must, in those specific circumstances, suspend thought and offer our shadows to the merciful Lord who can transform them into purest light. In faith and hope we can silently wait until, in love, God makes our salvation really and truly present within ourselves.